determine your overall ranking position within search engine results. 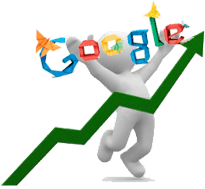 Want to improve your Google rankings? Get more high quality backlinks! Lawyers SEO build high-powered back links for law firms and other businesses looking to improve their search engine rankings, to gain an advantage over their competitors to generate new clients and increase their revenue. These powerful backlinks are placed on high quality and high authority websites to improve the overall authority of our client’s site. These links have been proven to significantly inscrease Google search rankings not only for the keywords that we specifically target, but also for related content found throughout a site. We work with lawyers and attorneys in all fields of practice as well multi-national software companies, online marketplaces as well as brick and mortar stores and factories. You can feel assured that the link building we complete for your law firm, has proven successfull for our clients over many years. When it comes to link building for lawyers, or any other business it is imperative that you only abtain high quality and relevant backlinks. Following Google’s famous Panda & Penguin updates, low quality back links will actually harm your website. We build all of our links manually, and we do not use any computer-generated software that automatically creates links. We do not participate in any link farms or other harmful black hat techniques that can harm your website. 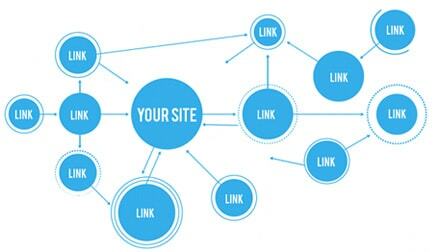 As we build of all our links based on content that we have written and own, we have complete control over every link that is created that points to your website. This enables us to be in a position to adapt to any new Google updates or algorithm changes, so we can create sustained, long term success. We create targeted links that focus on your specific location and target audience. So regardless of your business location or business type, we can greatly improve your current SEO position – Guaranteed! Prior to building backlinks to your website we conduct a through audit of your current position, to ensure that your website is in compliance with Google Webmaster Guidelines. We complete all required on page SEO changes to ensure the links we build achieve the maximum possible benefit to your rankings. We also optimize your internal links. Want to improve your Google rankings? Increase your website traffic? Win new clients? Contact lawyers SEO at 213-784-2700 to discuss your online goals. Alternatively fill in the form below and one of our experienced professionals will be in contact with you.